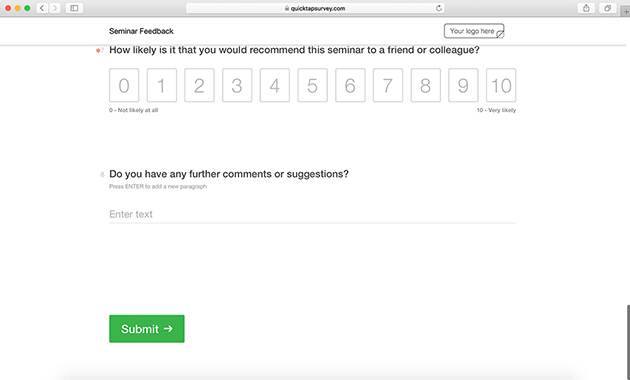 Increase attendance and improve the quality of referrals at your next seminar using this feedback form. This template will provide organizers with quality insights that will help them make actionable changes for the next seminar. 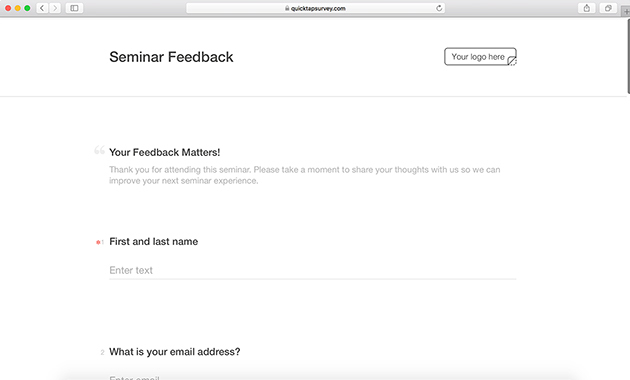 What is a Seminar Feedback Survey? 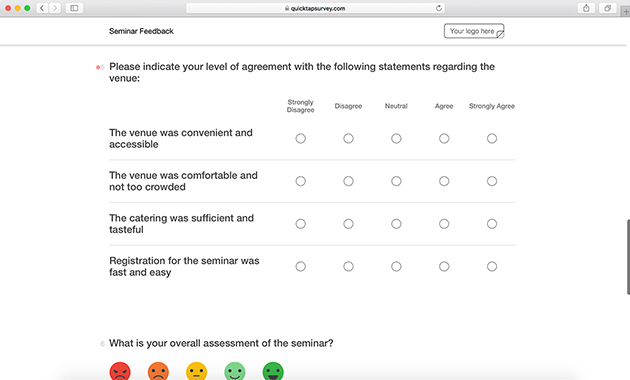 This survey allows seminar attendees to provide feedback to organizers about the quality of the presenter and venue, NPS (Net Promoter Score) ratings, and an overall assessment of the seminar. Data is collected using QuickTapSurvey, the leading offline data collection app. Just set up the app in kiosk mode. There’s no need to monitor it! 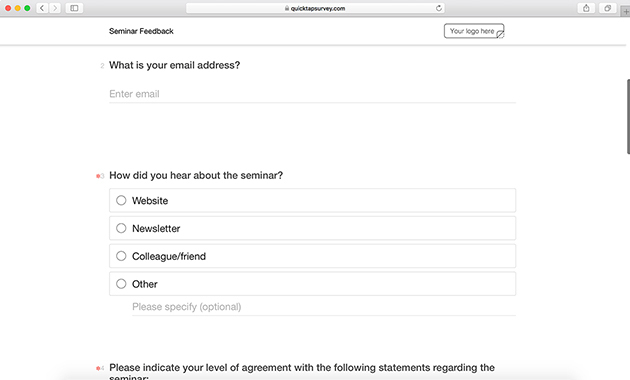 Easily embed the survey on your website or email a link to attendees. 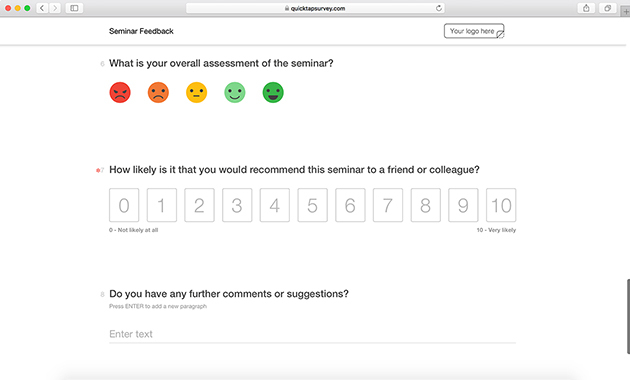 Why Use a Seminar Feedback Survey? 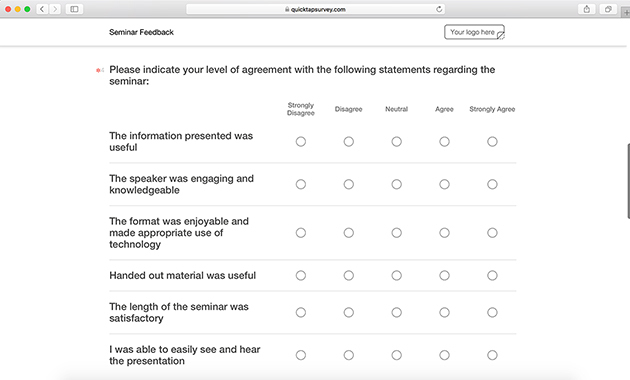 If you want to improve your next seminar and truly understand what attendees want, than a seminar feedback survey is essential. Without feedback or insights, it will be incredibly difficult to make improvements to future seminars. This quick survey will efficiently capture your attendees’ thoughts. The seminar presenter can improve their content and presentation skills based on the answers provided. Start your free trial today and gain access to all of our templates through the QuickTapSurvey app.